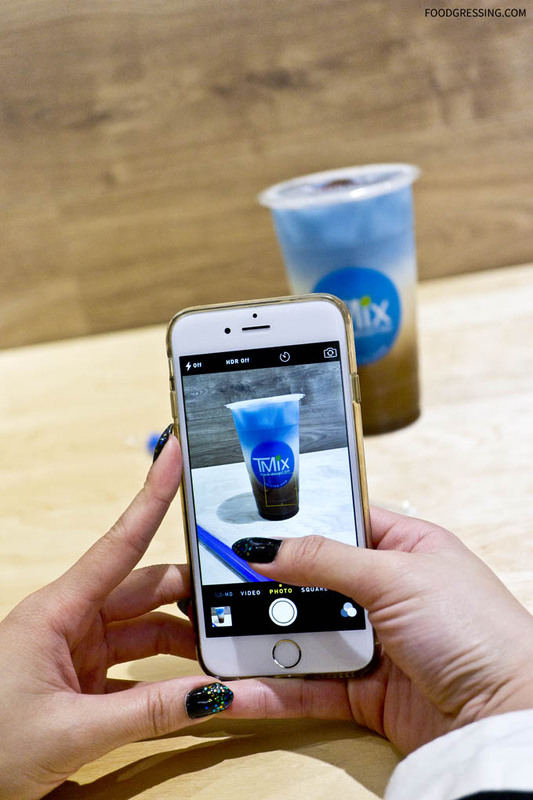 For a unique tea experience, you might just want to check out TMix Tea and Dessert Bar. 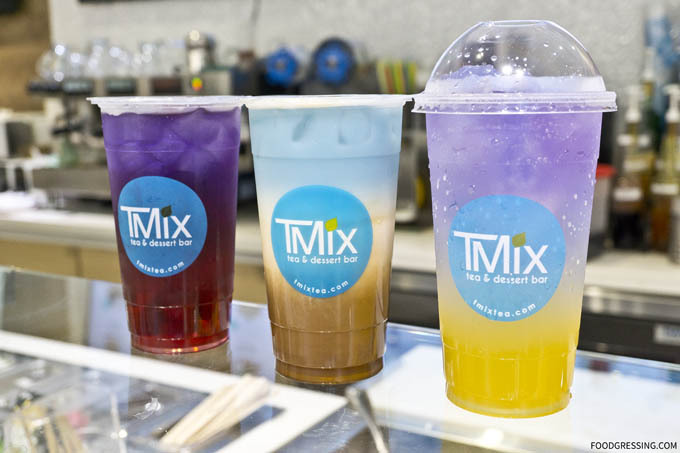 TMix recently introduced a new tea series, Butterfly Lovers Series, featuring butterfly pea flower. Butterfly pea flower is an ancient Thai herbal plant which makes for quite an exotic beverage. Recently, I was recently invited by TMix to try their new tea series. I was eager to learn more about the magic behind these colorful drinks. 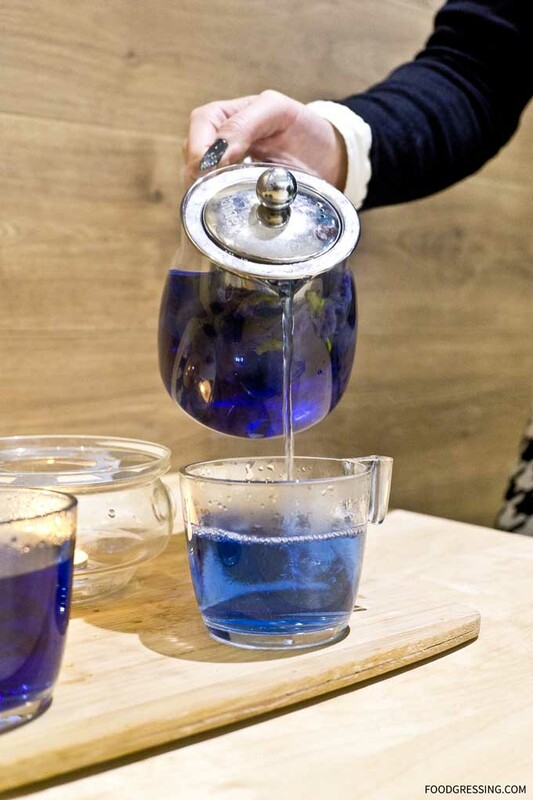 How does butterfly pea flower tea change color? 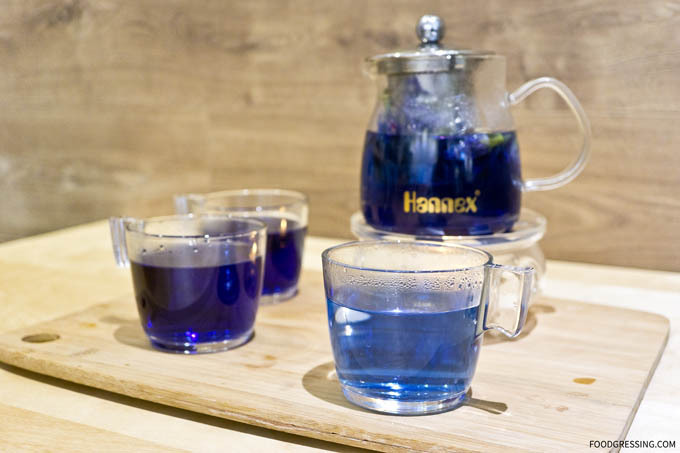 It all comes down to science as to how these butterfly pea flower tea drinks become multi-coloured. The petals of butterfly pea flower are deep blue and this blue color is released when brewed with water. 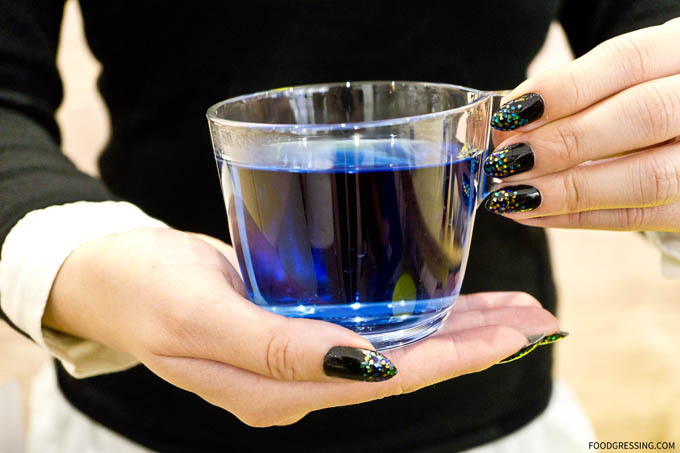 The liquid then changes colour based on the pH level of the ingredient added to it. 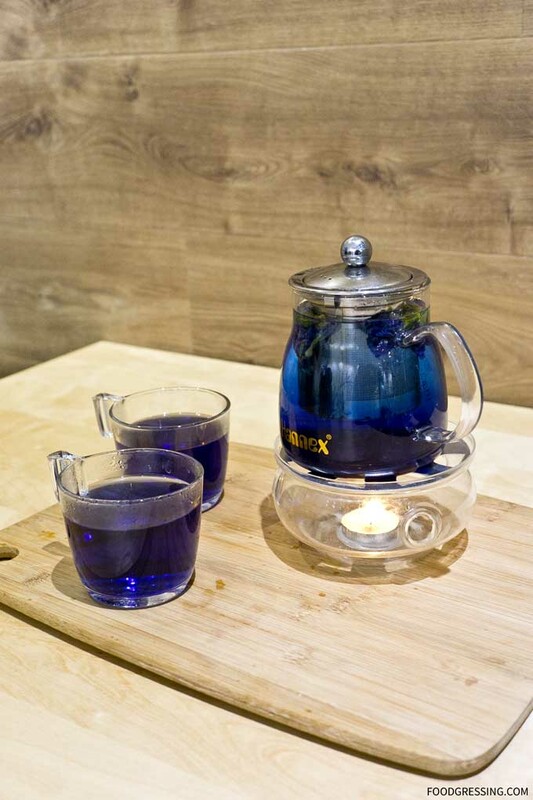 For example, adding lemon juice to butterfly pea flower tea results in a rich violet. The whole experience of creating these drinks must be like watching a mood ring change colour. Aside from its novelty factor, butterfly pea flower is said to have high antioxidants. Other health benefits claimed include eye sight improvement, skin and hair nourishment, premature aging prevention, body slimming, and immunity enhancement. With me on this media tasting were noted Vancouver food bloggers, Maggi (vieamaggi.com) and Diana (foodology.ca). Together we tried four of their drinks: Starry Night, Reverie, Blue Danube and Blue Moon. The Starry Night had kumquat soda was very citrusy. The Ai-Yu Jelly which was zesty itself went well with the drink and added a nice texture. The Reverie had a sweet blackcurrant taste from the Ribena. As an Earl Grey lover, I was partial to Blue Danube which had very nice flavour. We also went with the Blue Moon which was essentially butterfly pea flower tea with some honey. Unfortunately, there might have been a misstep because there didn’t seem to be any honey added. Without a sweetener, the tea had a natural, earthy, woody taste. Very interesting to say the least. The deep midnight-cobalt blue colour of the tea was mesmerizing. 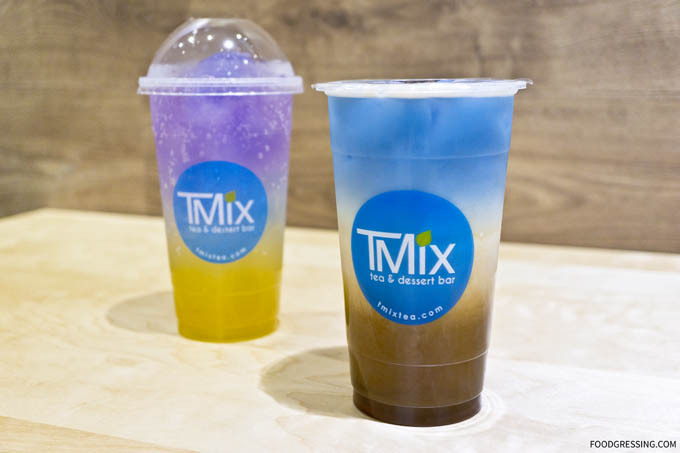 For more information on the butterfly pea flower series, visit Tmix.com. To read my other reviews on TMix, follow the tag Tmix.